Comfort for Work and Home – Heat Pumps and Air Conditioning keep you warm in the winter and cool in summer. How often do we take feeling comfortable for granted? So often heating, cooling and insulation are added as an afterthought, but the temperature at home or in the office has so many flow on effects. The weather conditions are diverse in New Zealand. While some regions never get below 5 degrees many plummet into the minus tens! In winter, living in a cold, unventilated home is a major reason why people get sick. Sick children have to stay home from school with a parent to care for them, putting extra pressure on the household. A chilly office, or one where people hide a fan heater under their desk is normally unproductive with extra high power bills. Relax in comfort from burning summer days or freezing cold nights with up to 4 times the energy efficiency of conventional heating appliances with an energy efficient inverter heat pump. No one feels like working while sweltering in the summer heat. Opening the windows for a slight breeze only lets the flies in. People wake up tired each morning after a hot night of tossing, turning and trying to sleep. Air Con NZ is taking care of these issues for homeowners, business owners, and property managers right across the country. Whether you’re at work or at home, our goal is making sure you get the right heating, cooling and ventilation system to keep you healthy and comfortable all year round. That’s why it is essential to have a heat pump recommended and installed by an Air Con New Zealand professional. Not only will they ensure you get the right product for your individual needs, but they will also install it and offer a $50,000.00 workmanship warranty. 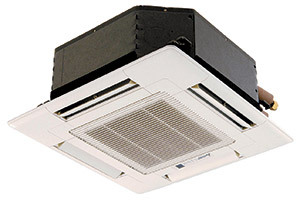 Contact Air Con today for a free assessment on your Heat Pump & Air Conditioning needs. The different types of heat pumps are – Whole home or a single room? 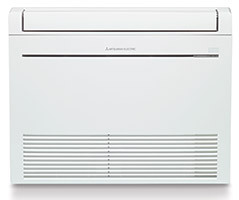 There are several other heat pump technologies, including multi-split (where one outdoor unit serves several indoor units), ducted (where a largely centralised compressor sends hot air via ducting throughout the home) and air-to-water systems (where a heat pump is used in lieu of an electric water cylinder). There are also ground-source heat pumps, which use heat from the earth rather than from the air. These systems remain a niche market, so our round-up only includes single-split air-to-air models.